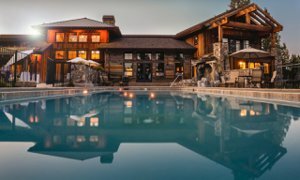 Finding luxury homes in the Puget Sound area isn’t much of a challenge – especially if a real estate shopper focuses their efforts on the Eastside region which includes Bellevue, Issaquah, Kirkland, Medina, Sammamish, and other affluent cities. The Eastside is one of the most desirable places to live in all of the Puget Sound area thanks to beautiful homes, access to top companies, and plenty of shopping and recreational activities. Any discussion of luxury homes in this region has to start with Medina. Located in West Bellevue, Medina is one of the highest-priced zip codes in all of the country. Incredibly, the median home value in Medina is beyond $1.8 million, with many properties valued at three or four times that amount. Thanks to an exclusive neighborhood which includes the Overlake Golf and Country Club, properly values in this community have remained high throughout the years. That is especially true of lakefront homes on the shores of Lake Washington which can be valued as high as $10 million and beyond. Of course, there are plenty of options for luxury homes outside of just Medina. Right in Downtown Bellevue there are plenty of high-end options for those who are looking for a big-city lifestyle. Buildings such as the popular One Lincoln Tower contain luxury condo units which can be valued at well over $1 million. This style of luxury living leaves the owner within walking distance to plenty of great restaurant and shopping options. So much of life in the Pacific Northwest is centered on the beautiful outdoor environment that lake front homes are particularly popular in the area. Both Lake Washington and Lake Sammamish have many luxury homes along their shores. Lake Washington is ringed with beautiful properties, in addition to the homes on Mercer Island in the middle of the lake. Lake Sammamish includes homes that are in Bellevue on the western shore, and Sammamish on the eastern shore. Both of these lakes offer plenty of opportunities to get out on the open water for activities such as fishing and water skiing. The real estate buyer who is browsing the MLS listings for luxury homes in the Puget Sound area is going to like what they find. There are plenty of options throughout the Eastside and beyond, depending on the specific budget and tastes of the buyer.